Even with working 65 hours a week, I have been able to finish a small project. One of my goals this year was to do a Scrappy Trip Along quilt. 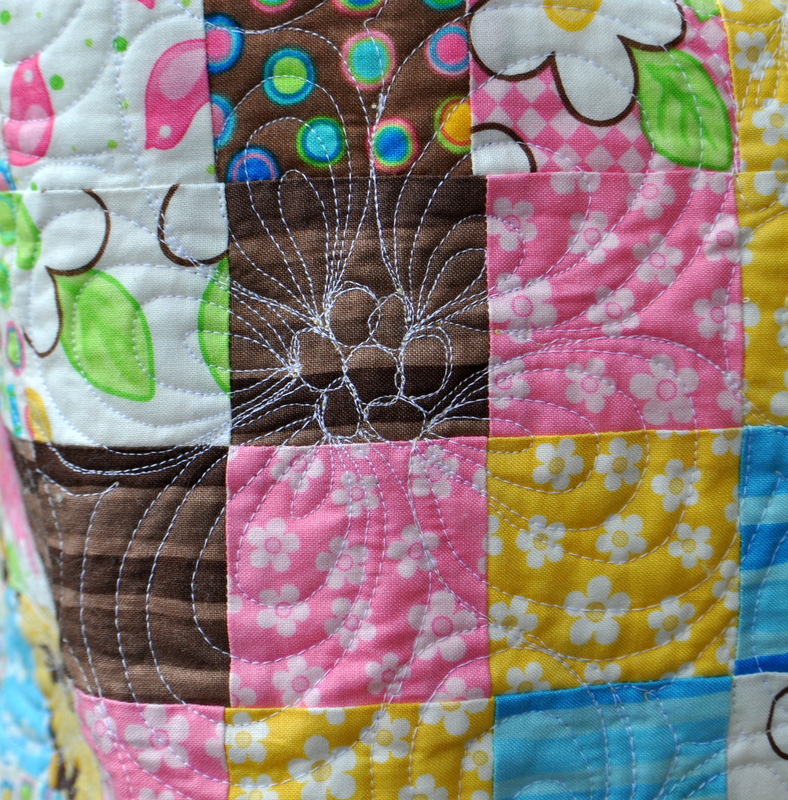 This quilt pattern has really taken off — there is even a Flickr group. Apparently this design has been around for 14 years. Wow, I feel like I’m so behind having just recently discovered it. But it’s still very popular, and pictures of new quilts made with this pattern are being uploaded daily. I used a 1/2 jelly roll of Moda Birdie that I had left over from a baby quilt I made a few years ago. 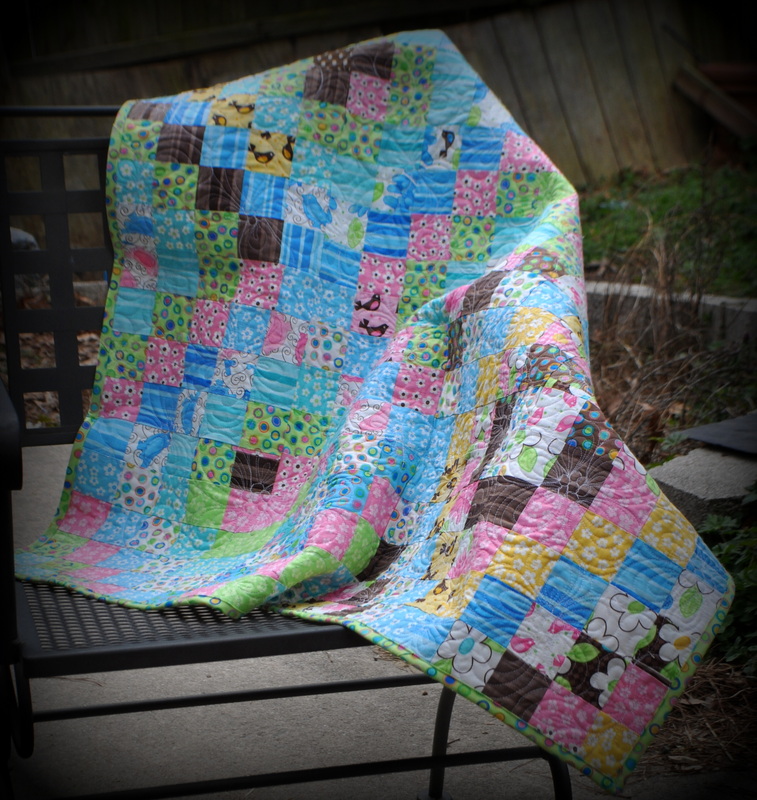 I had just enough of the jelly roll left to make this quilt 40″ x 40″, which is also a good size for a baby quilt. I did have some problems with the strips of fabric stretching, so not all my seams line up correctly. I hate that — but sometimes I have to tell that perfectionism thing to take a back seat. I also used this opportunity to practice some free motion quilting. I chose a design called Paisley Flower by Leah Day and then adapted it for a larger quilt versus a 6″-8″ square. My flowers ended up being 3″-7″ in diameter, with the average being about 5″, and it still took quite a while to quilt. I still need to practice sewing over the same line more than once, but I am very pleased with how it turned out. 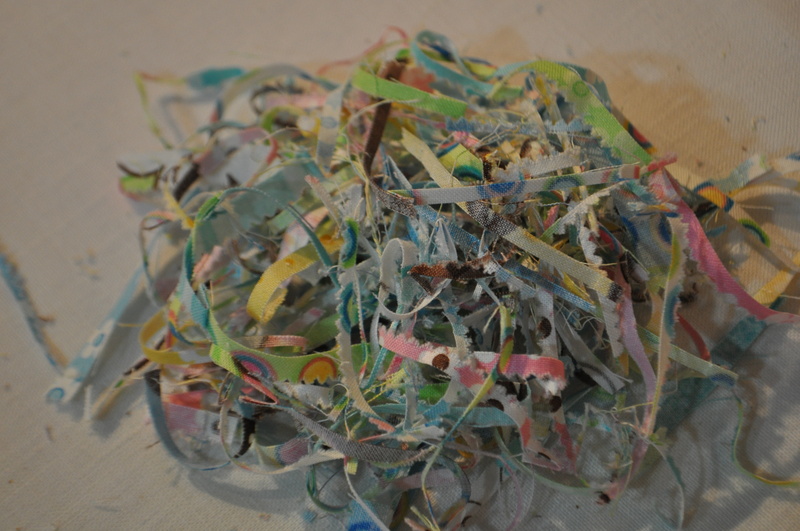 And look at the colorful pile of fabric scraps I had left over. I think I might put this outside and lets the birds use them to decorate their nests. Or maybe I’ll make one myself similar to this. 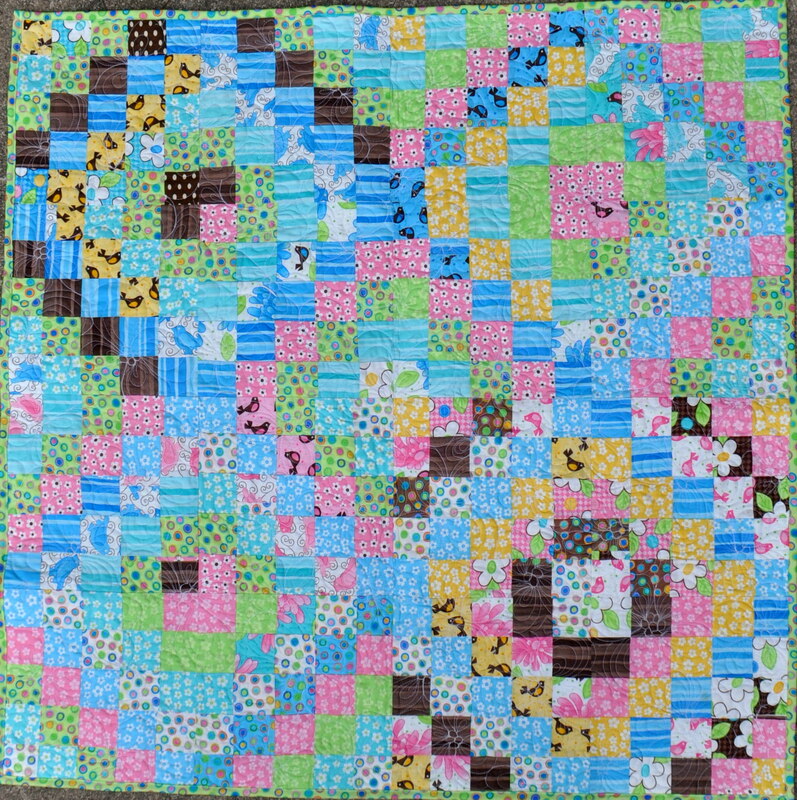 This entry was posted in Quilting/Sewing and tagged baby, bird, fmq, free motion, moda, nest, quilt, scrap, scrappy, scrappy trip along, scraps by monkeyneedle. Bookmark the permalink.